is it just me, or is back-to-school time one of the craziest times of the year? (next to christmas, of course.) there is something about going from the carefree, lazy days of summer to the <scheduled, get-up-early, make lunches, make sure all the homework is done, do we have any clean clothes? !, deal with all the papers (oh, all the papers! ), where are your shoes? !> first days back at school that is so hard for me to transition into. and with multiple kids in school i’m always afraid i’m going to forget something or drop the ball somewhere. but this year i’ve made a plan. whether it’s filling out a permission form, or sending money for class t-shirts, it’s all going on this calendar. nothing is too big or too small. it’s on my fridge anyway, so i see it every day…many times a day. and then when i cross it off on my calendar, i don’t have to lay awake at night and wonder if i actually did send in that permission slip, or fill out that form…. hopefully this helps me relax and not stress about the small stuff. 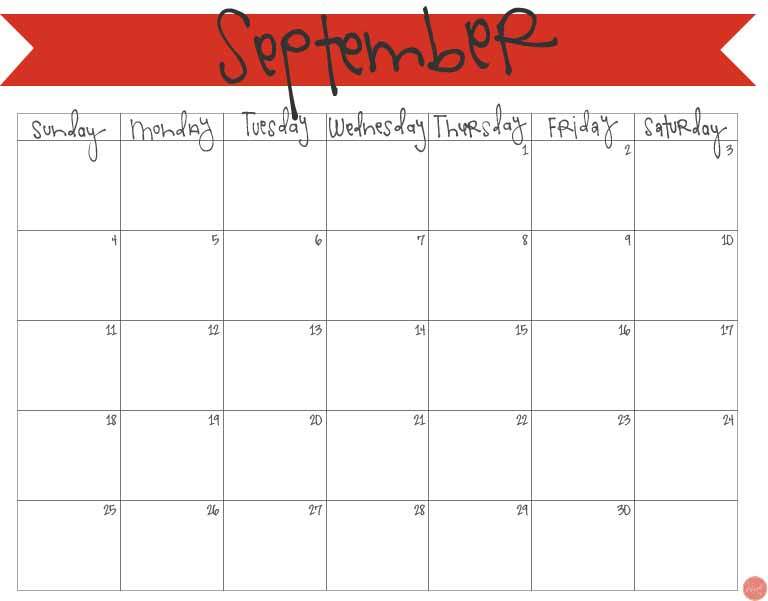 do you need one of these calendars to keep you organized this september, too? download your free printable september 2016 calendar below! click here to download your free september 2016 monthly calendar pdf! and good luck to all us moms and dads (and kids!) this coming school year!! and of course, bless the hearts of all their great teachers! 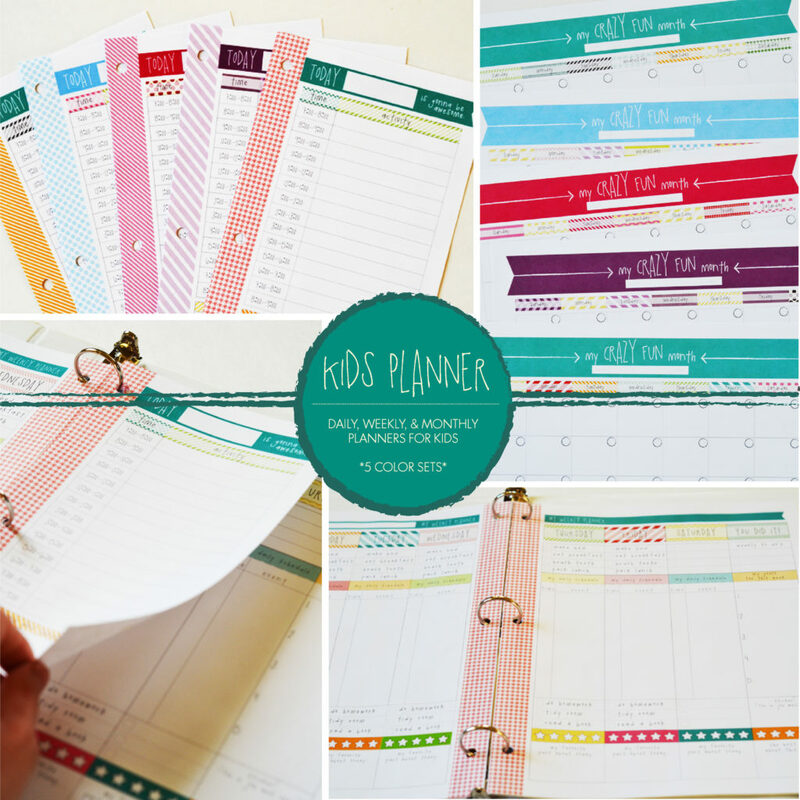 PRINTABLE KIDS ORGANIZER/PLANNER – your kids can use it all year, every year (you fill in your own dates)! 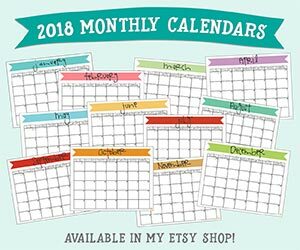 there are also lots of other calendars to be found in my etsy shop! Its sad when people cant be nice. I enjoy your site. My 2 grandsons & I made your Flubber.. We had a great time. I also have enjoyed the other craft ideas also. I for one would like to say THANKS! Don’t sweat the small people girl. Keep crafting.